Before submitting your book to a publisher, it is imperative that it is edited and proofread. A wonderful story might be discarded, before it is even considered by a publisher, if there are grammatical errors, spelling errors or typographical errors. Why take that chance? This book editing and proofreading service will ensure that these errors are eliminated. You will then feel more confident to submit your book to your chosen publisher. I will also review your book for clarity and logical flow. Your non-fiction book requires editing and proofreading if you want to have it considered for publication. 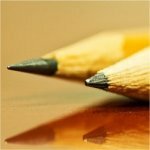 I will employ book editing and proofreading techniques specially designed for the writer who has written a book that is a non-fiction work. I have edited and proofread several books that were written by authors expressing personal experiences. These auto-biographical books are written passionately by the writers. These writers are so close to their writings that they often miss some errors that would be embarrassing if not corrected before publication. Self-Publishing has become very popular. The publishing business is extremely competitive and trendy. Good writers and authors often have a difficult time finding publishers who are willing to consider a book written by a yet unpublished writer. Some writers give up on the traditional publishing route in exchange for the self-publishing alternative. I would suggest you consider this self-publishing option instead of giving up your dream of publishing your book. Make sure to keep your original work just as it looked before you submitted it for book editing and proofreading. When you receive the edited document, you will be able to apply each change one at a time. This way you will be able to see what changes have been suggested and have the opportunity to make the final decision about whether to incorporate each change or not. There will probably be some added suggestions and ideas throughout the text that will help you to understand any questions or discrepancies that I have encountered. The fee for book editing and proofreading is between USD .019 and USD .02 per word. For instance, if your book is 10,000 words the fee would be between USD 190 and USD 200. The preferred method of payment is PayPal. See the payment information page for other payment options. You may submit your book in its entirety or in several installments. The work should be in Microsoft Word format. Contact me using the contact form. When the edited text is returned to you, you will be able to see all the corrections, omissions and suggestions. See the sample to view how your edited document will appear. If you need formatting for your work, I can add that service for an additional nominal fee. This would include margins, fonts, page layouts, page numbering, graphics, line spacing and other formatting features. The fee for the proofreading only service is USD .018 per word. This service is much less comprehensive than the editing and proofreading service. Your book is probably a candidate for the proofreading only service if it has been edited already and is in polished form. If you feel that your work is a candidate for our proofreading only service, please inform me when submitting your work. Do not send a fee with your submission. We will evaluate your book and determine if it qualifies for proofreading only services.